Smoother Interviews Means Faster Collaboration and Better Hires. Interviews are a critical step in the recruiting process. The experience for candidates, interviewers and recruiting teams can be painful or delightful, depending on the process and utilization of technology. Managing high volume interview days can be incredibly complex. Scheduling can be a full time job. Candidate expectations have never been higher. 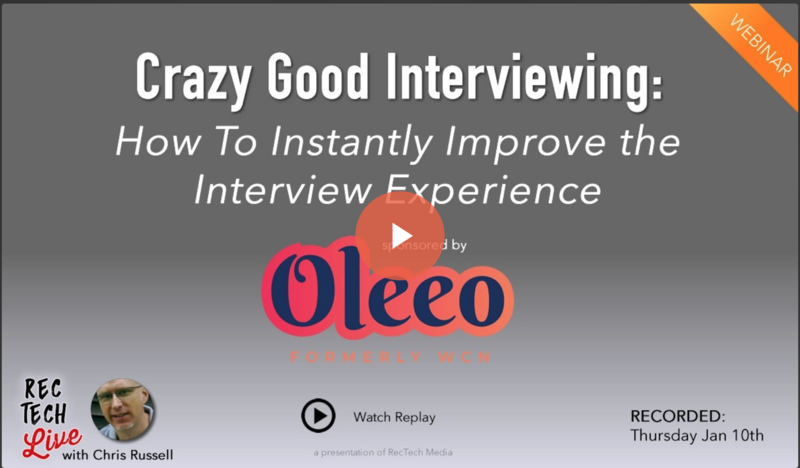 You can get the power of Oleeo Interview Instant up and running in 48 hours at a cost you'll love. From mobile self scheduling and high volume itineraries to speeding up collaboration and feedback, Oleeo Interview Management simplifies the experience and gives everyone precious time back. Schedule and manage interviews for Super Days or other high volume interview events with ease.